Visit Park City graciously hosted us during our stay. All thoughts and opinions are always my own. Park City is a gem of a little laid-back mountain town that is home to some of the best snow in the world. It was first put on the map as a silver mining town back in 1860. 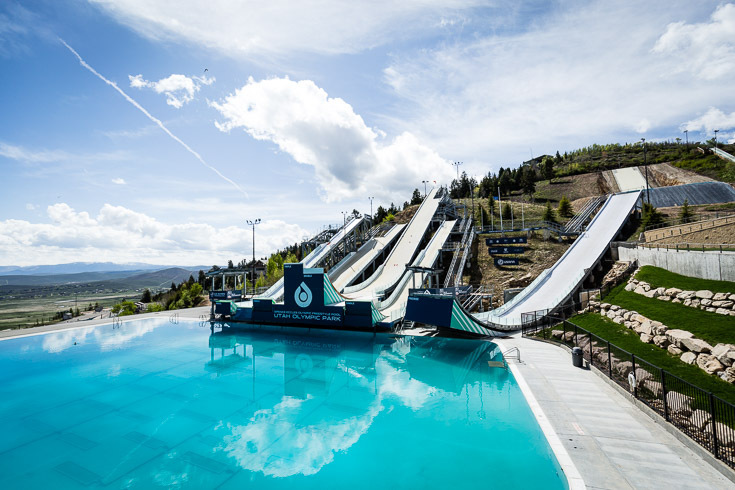 In 2002, the Winter Olympics took place and it was a huge success for Park City and the surrounding areas. In the winter you go skiing and eat great food. In the summer you go to mountain bike and eat great food. 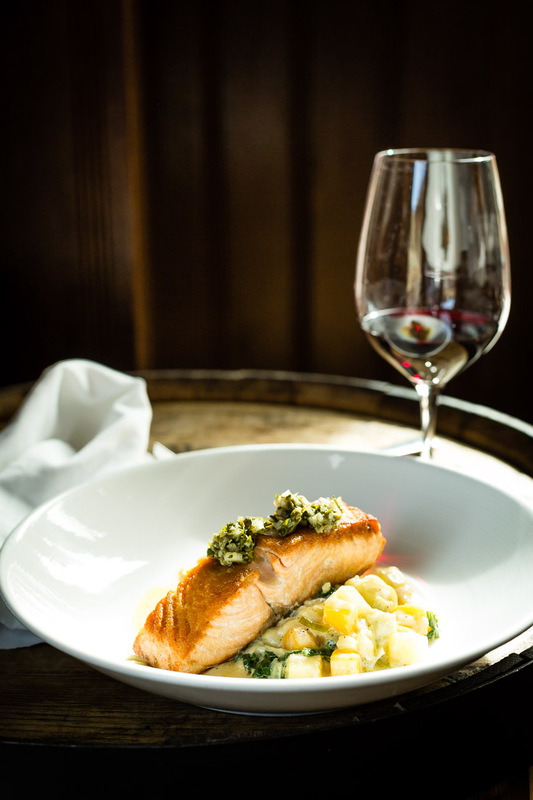 It’s a town that is all about the outdoors, the better things in life, including great food. 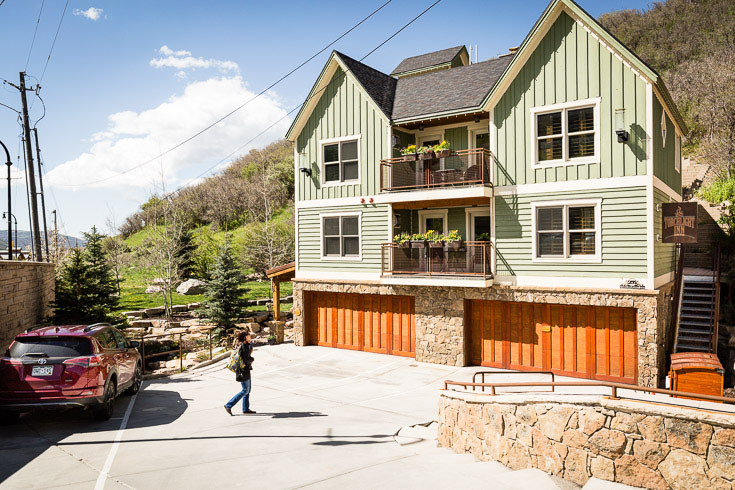 Located 7,000 feet above sea level in Northern Utah, Park City is just 35 minutes up the mountain from Salt Lake City. The cool thin mountain air, the sound of the wind wisping through the aspen trees and the amazing hospitality are just a few of the reasons to visit. 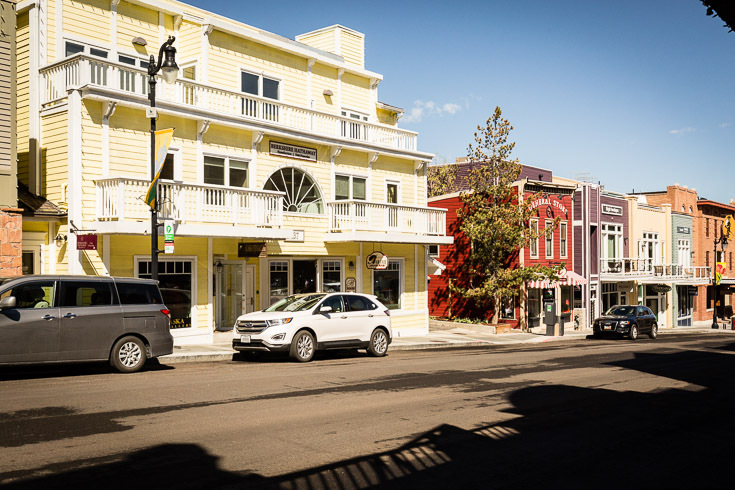 While Park City is known for its epic winters; it’s also an amazing summer destination with activities for any interest from hiking to mountain biking and fishing. Park City is a progressive city that really cares about the environment. They have “no idle zones” where cars aren’t allowed to idle for more than 30 seconds; no straws in most of the restaurants; and they even have a fleet of fully electric buses that are totally free for everyone. It’s was super inspiring coming from California. Eat amazing food all year. Take the kids to the City Park playground or start a softball or soccer game at the field. Fly to Salt Lake City International Airport (SLC). From private coaches to shared shuttles. There are numerous shuttle and transportation options to make the short trip up to Park City an easy one. Once you are up the mountain, there is a free transportation system to get around. If you plan on taking day trips during summer months, a rental car from the airport might be your best option. 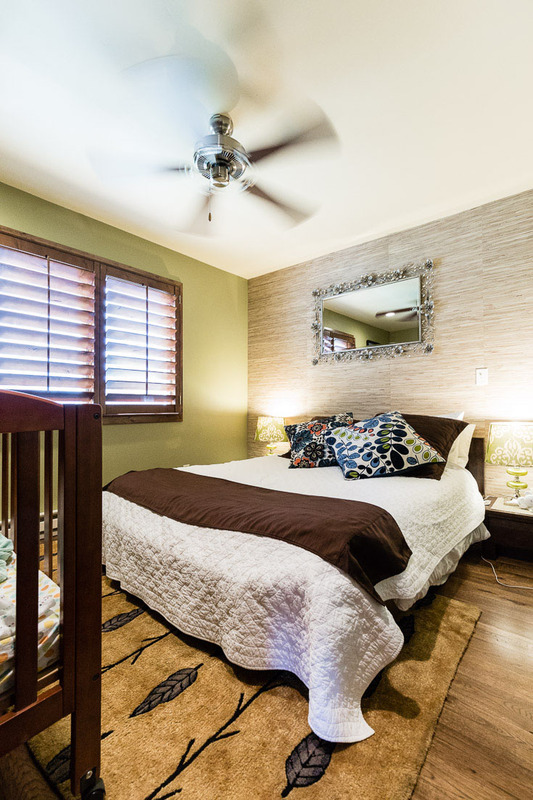 There are numerous options to stay at in Park City. 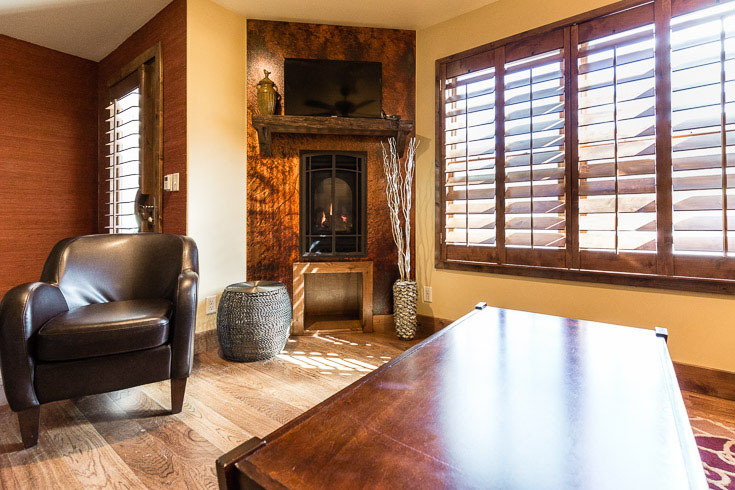 From the luxurious 5-star resorts connected to the ski mountain to the perfect little Bed & Breakfast that combines the comforts of home with luxury and convenience. We had the pleasure of staying at the Torchlight Inn during our visit. The stay started with a warm and friendly greeting from the owners, Russ and Chris, who made us feel like old friends. They reminded us to drink plenty of water because of the altitude and made sure we had everything we needed. 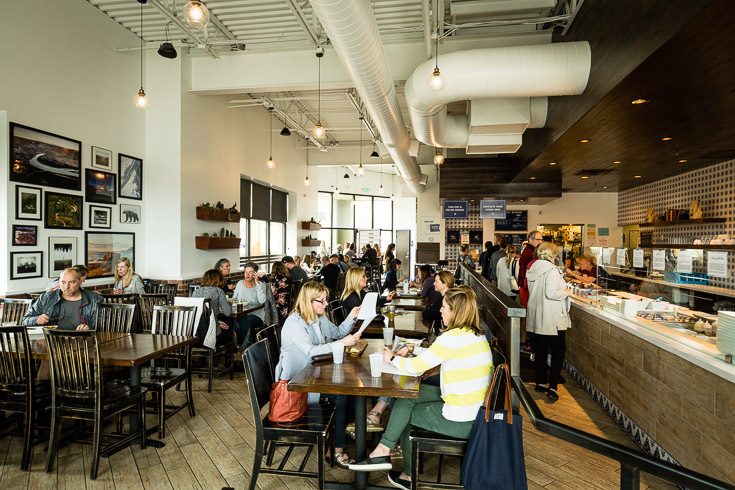 The location of Torchlight is super convenient and optimal for walking to main street downtown where there are tons of shops and restaurants. It’s also right across the street from the free bus and trolly. Tip: Ask Chris about babysitter options if you bring the kids on your trip and want to go out to dinner without them one night. The Lillehammer Suite at the Torchlight has a living room and a separate bedroom. This worked out perfectly for our 18-month old, who could sleep in the bedroom while we got to continue the evening without disturbing him. There’s nothing like sitting next to a warm fireplace while listening to the sound of the stream below. A delicious made to order hot breakfast is served every morning with a menu of choices. My favorite was the frittata with kale that Chris picked from the garden just steps away. Coffee is served in a French press along with pastries, fresh fruit. *All the restaurants and activities are family friendly. 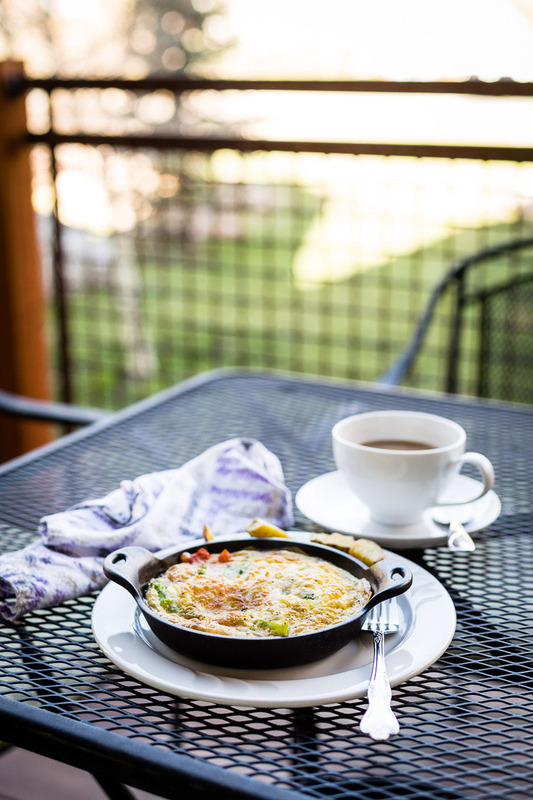 Tupelo is on main street and a perfect spot for brunch. They have an impressive menu that makes it a little difficult to decide what to order. 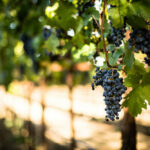 The knowledgeable staff really knows about the food and local ingredients, which is refreshing. 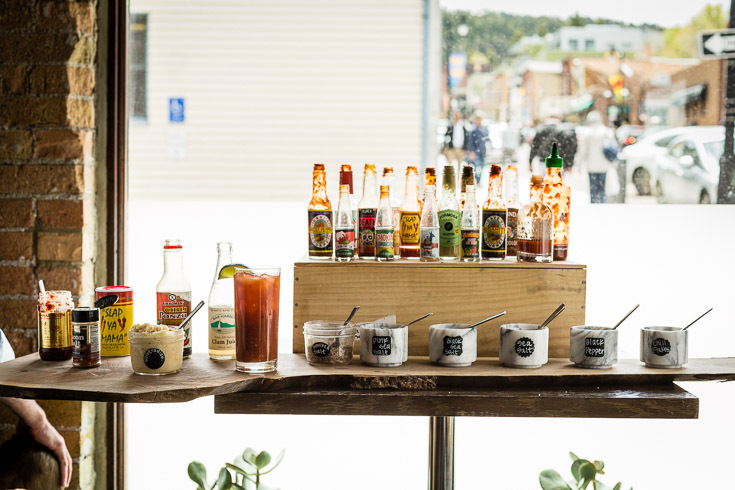 Don’t Miss: The seasonal special and the bloody mary bar. 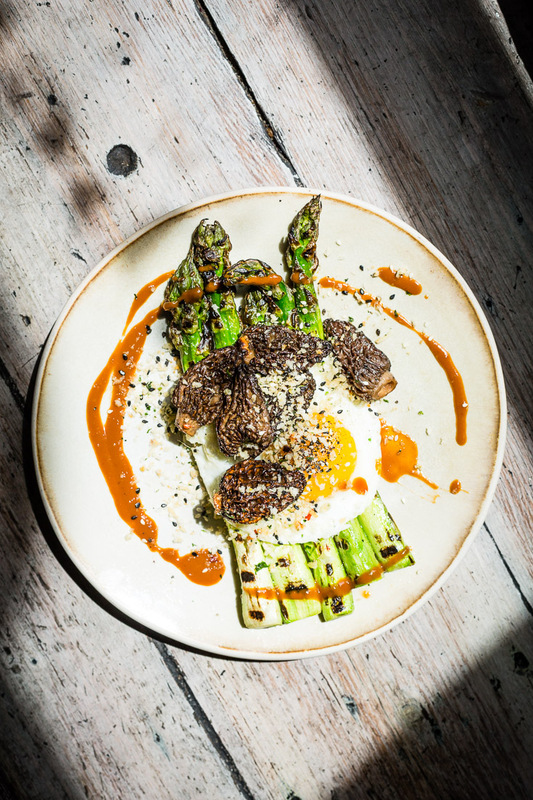 The seasonal special was the spring asparagus with local morel mushrooms and a fried egg. The asparagus was so smokey-sweet and perfectly grilled. Asparagus and Eggs is one of my favorite combos. This dish totally elevates it with garlic breadcrumbs, parmesan, garlic cream reduction drizzled on the plate. 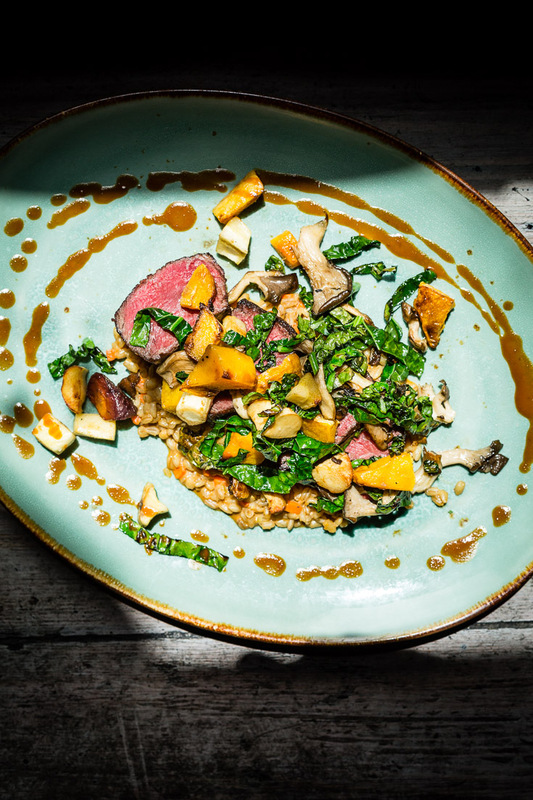 Their signature dish is the “Beef & Barley,” which is a Niman Ranch sirloin steak with kale, root vegetables, mushrooms and barley risotto. The steak was cooked to a perfect medium-rare and was super tender. There was some major umami flavor in this dish with the rich garlic cream. This dish felt a little more fall than spring, but with a bit of chill in the air, it was perfect. 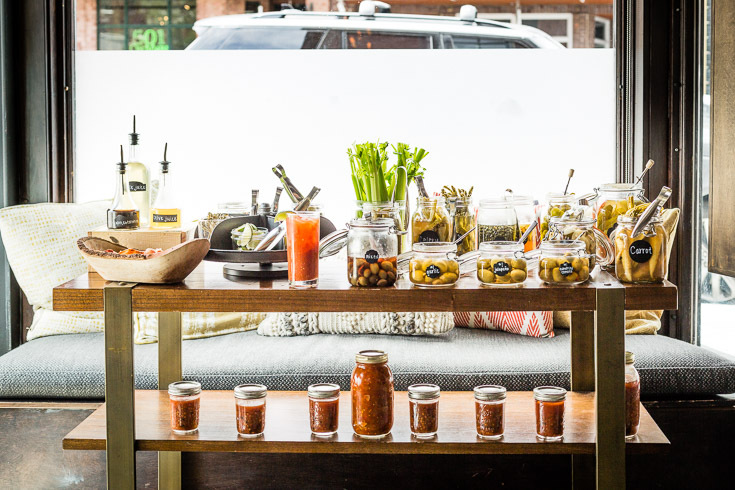 Absolutely order a bloody mary, just for the experience of the bloody mary bar. They have an expansive bloody mary bar like I have never seen before. You are brought a plain bloody mary that you can then fully customized with every possible garnish and add-in ingredient that you can imagine. The Montage is located high up in the clouds of Deer Valley. It is in an absolutely spectacular setting that feels a little like a modern version of The Shining. 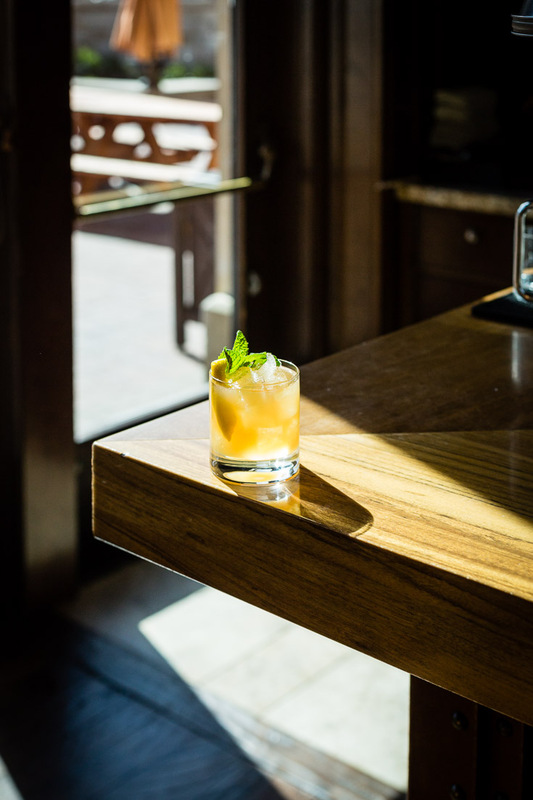 Burgers & Bourbon is one of their casual restaurants with a name that is pretty self-explanatory. 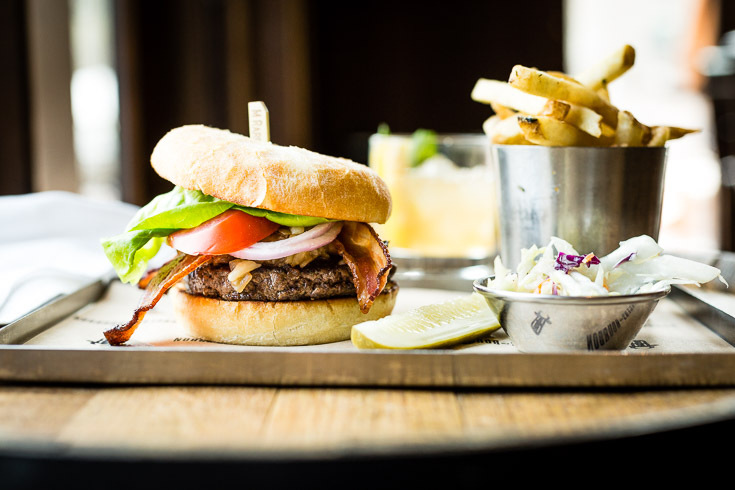 The menu has 12 burger options from “naked” to a free-range lean bison burger. The Montage is a 5-star resort that was designed with kids in mind. 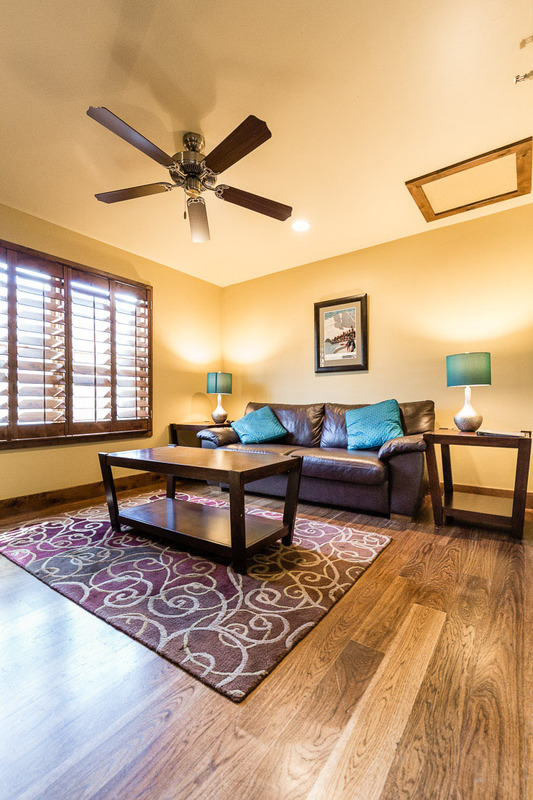 They have a game room with a bowling alley, tubing in the winter, archery and many other amenities to keep the kids entertained while the adults get to play. I would highly recommend the “smoke house” burger (above), which has a bourbon bbq sauce, smoked bacon, cheddar and caramelized onions. Tip: Ask for no salt on the fries. They were a bit salty even though I asked for low salt. 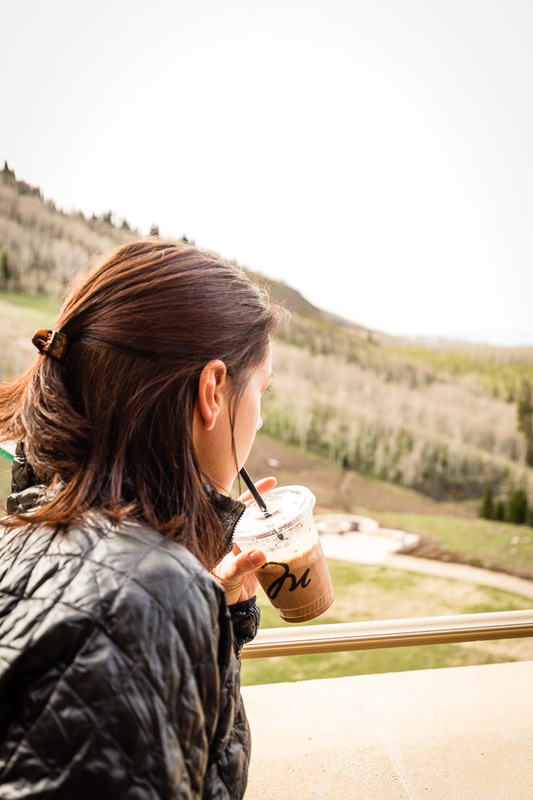 Tip: Get a delicious hand-spun chocolate shake to go and take a tour the beautiful property to enjoy the scenery. 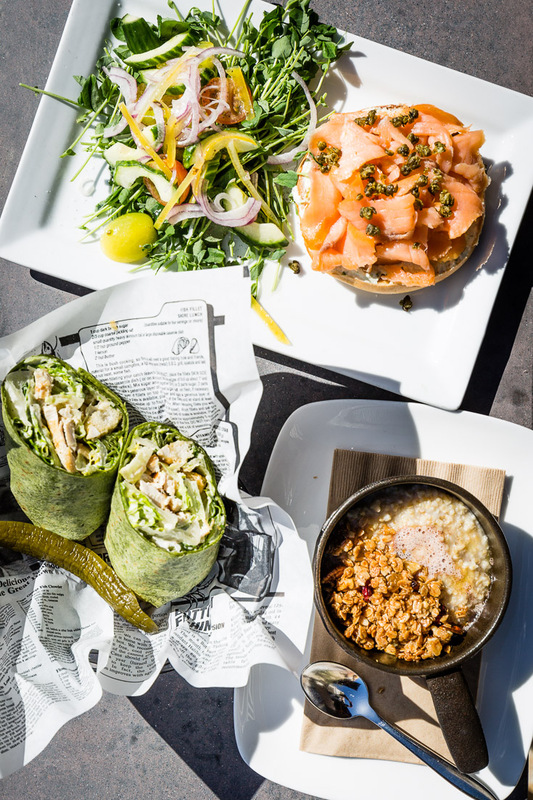 Vessel Kitchen is a healthy fast-casual restaurant on the north end of Park City. It’s just a few minutes away from the Olympic Park, so it’s a great place to stop to fuel-up either before or after visiting the park. The 1/4 dark chicken, mashed potatoes, Brussels Sprouts hit the spot. The shaved and roasted brussels sprouts were the best I’ve had in a while. 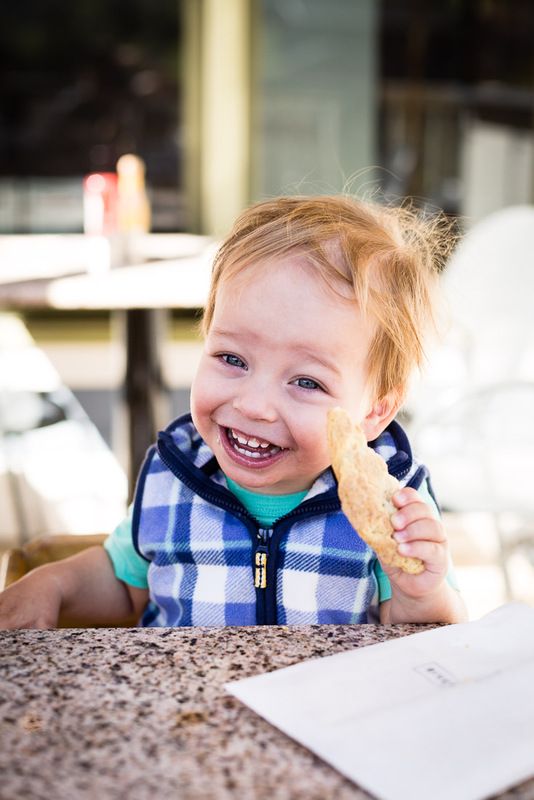 Benjamin loved the kid’s portion of the mac and cheese. The Waldorf Astoria is a luxury hotel with a restaurant featuring elevated comfort food with an atmosphere and service that matches. 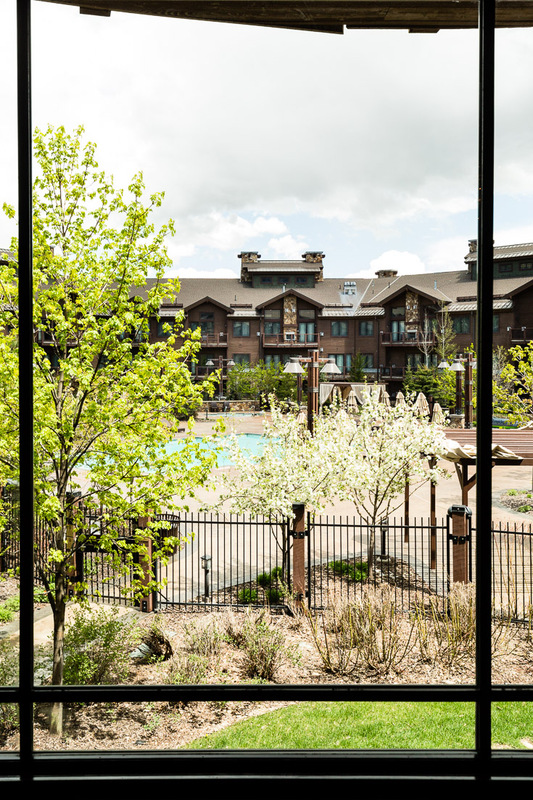 The serene views from Powder’s picture windows overlook the pool area with the craftsman design hotel in the background. 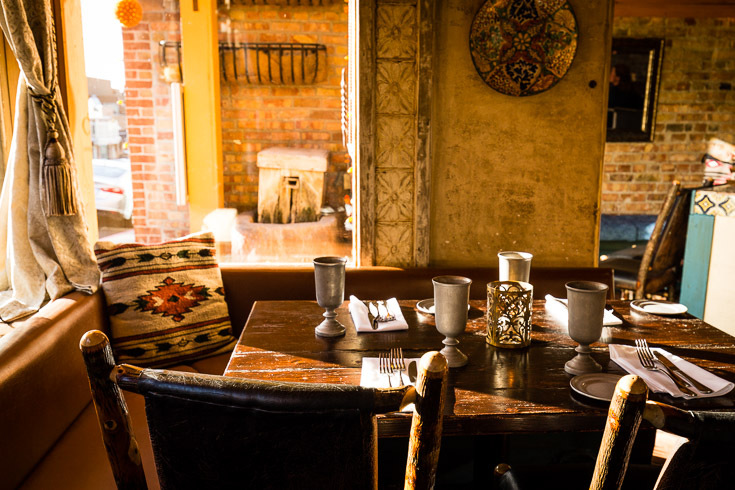 It’s a spot you feel so comfortable in that you could spend the day relaxing and indulging in the delicious food. 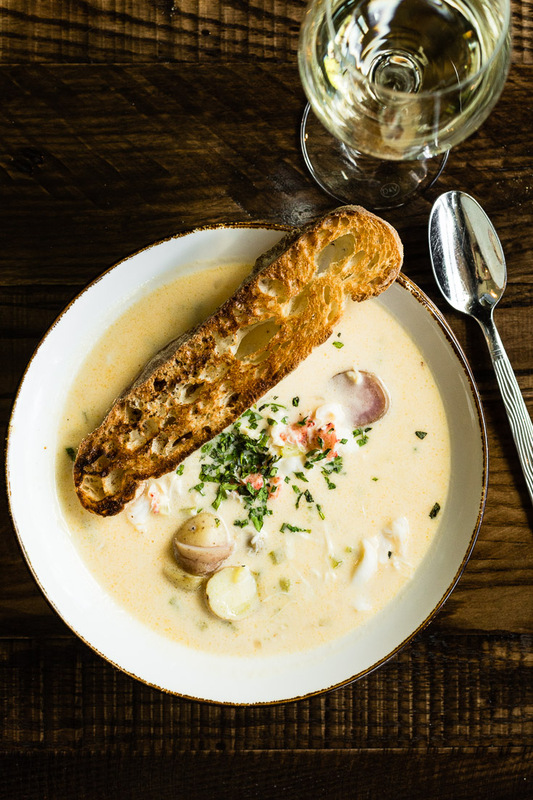 The lobster corn chowder with fingerling potatoes is a must try. It’s one of the best things we tried all trip. 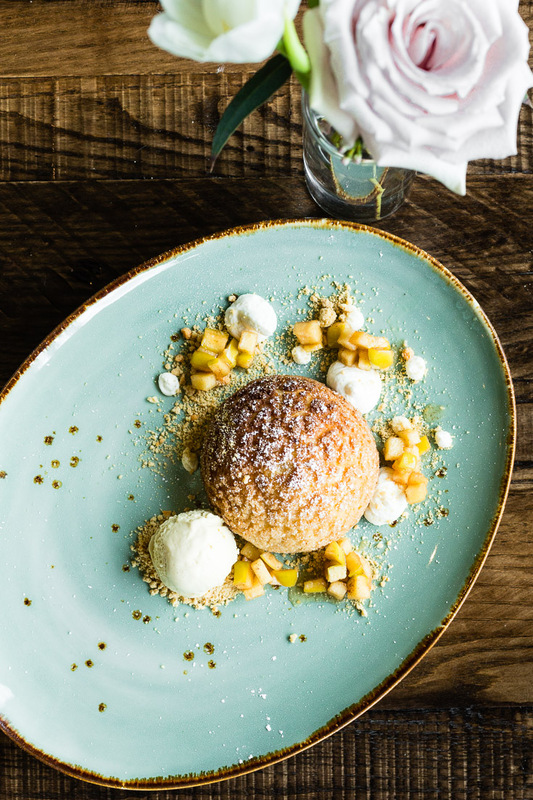 We finished with the decadent profiterole filled with butterscotch and surrounded by apple pie apples and crumbles. 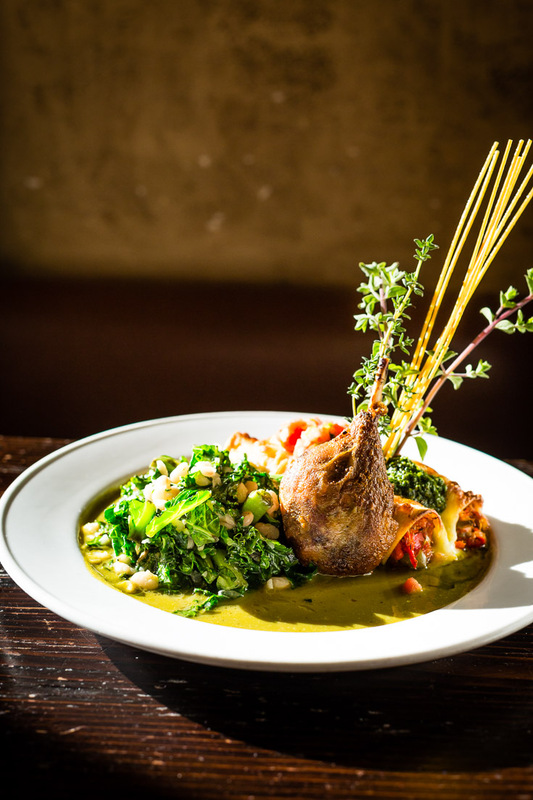 When it comes to southwestern food, it’s pretty easy to be underwhelmed. Our visit to Chimayo left us feeling the complete opposite. Every dish we tried was an “OMG, this is so good!” I’m going to say that Chimayo is the best southwestern food I’ve ever tasted. 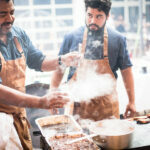 Executive Chef Arturo Flores is a true master at putting flavors together and making every element taste unique. The glow of the evening sun was shining through the window, which made the refreshing mezcal margarita and sangria taste even better. 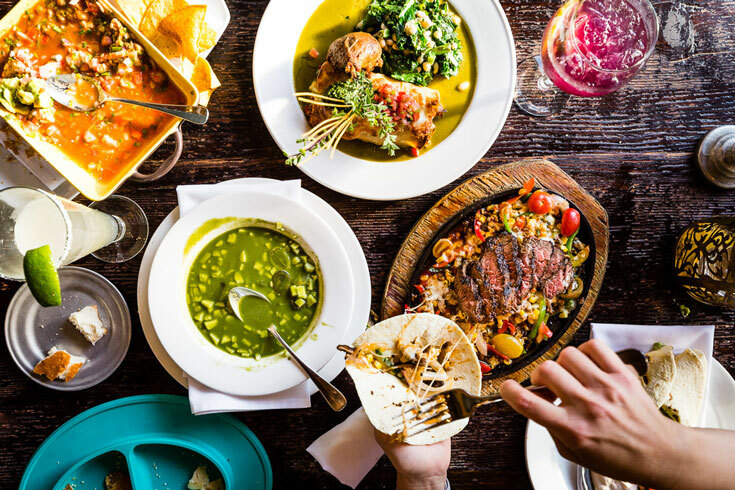 Tip: The entree portions tend to be on the bigger side, so you might want to order a few appetizers and share an entree if you can’t bring the leftover food home with you. 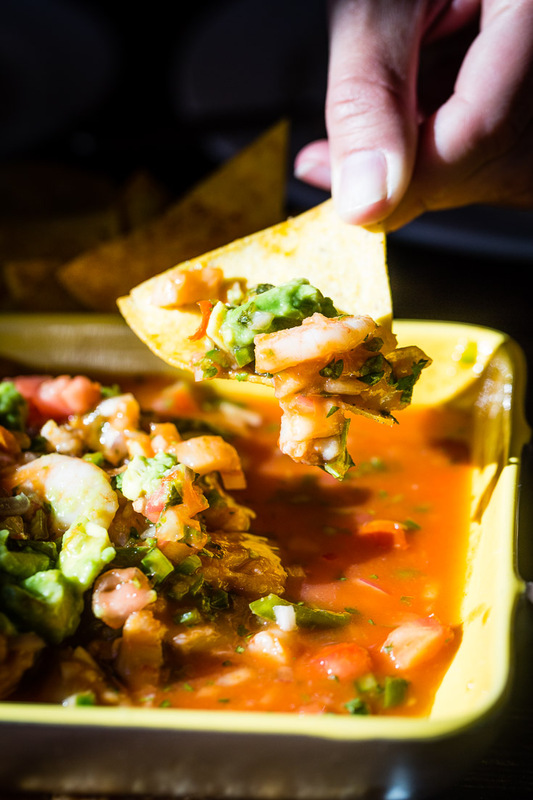 We started with the ceviche of gulf shrimp and mahi-mahi, which was bright and fresh just like it should be. It is served with super crunchy house-made crackers that could be a meal themselves. 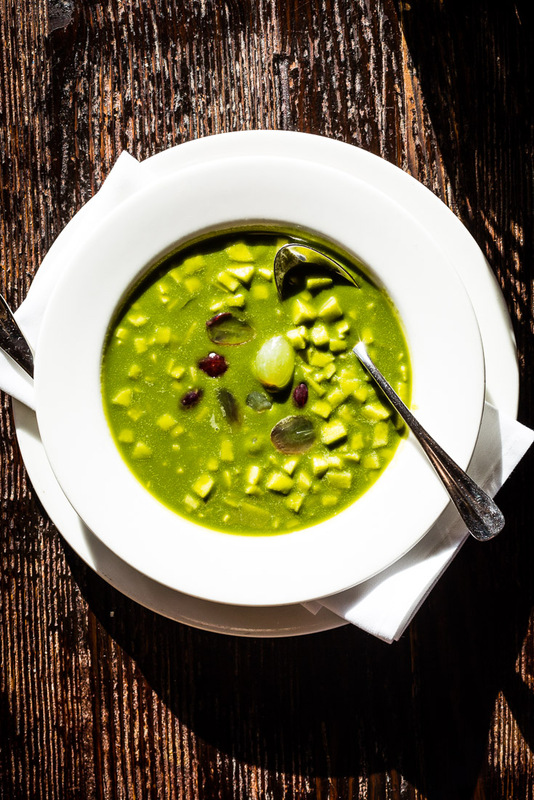 The soup was a green gazpacho with apples, grapes, kale, green apple, cucumber, jicama, cilantro and mint. If you love refreshing and fresh gazpacho, you will definitely enjoy all the bright flavors and textures of this dish. 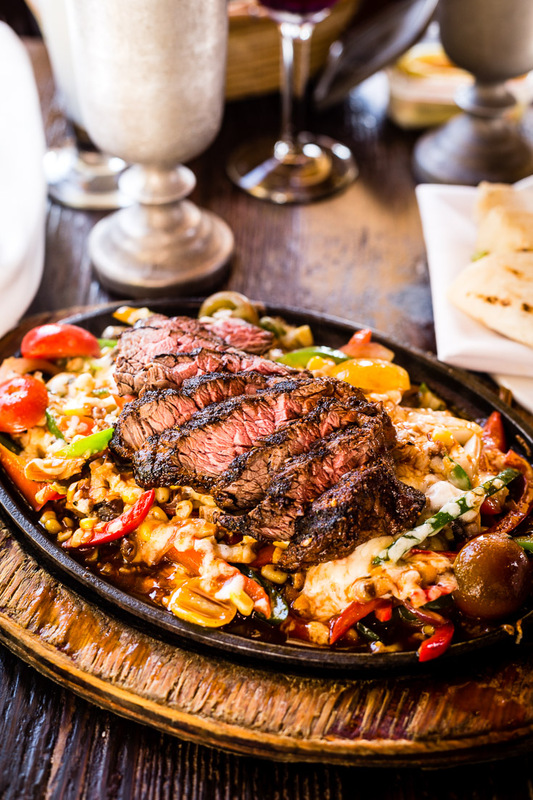 The carne asada Wagyu fajitas were rich with flavor and so tender. 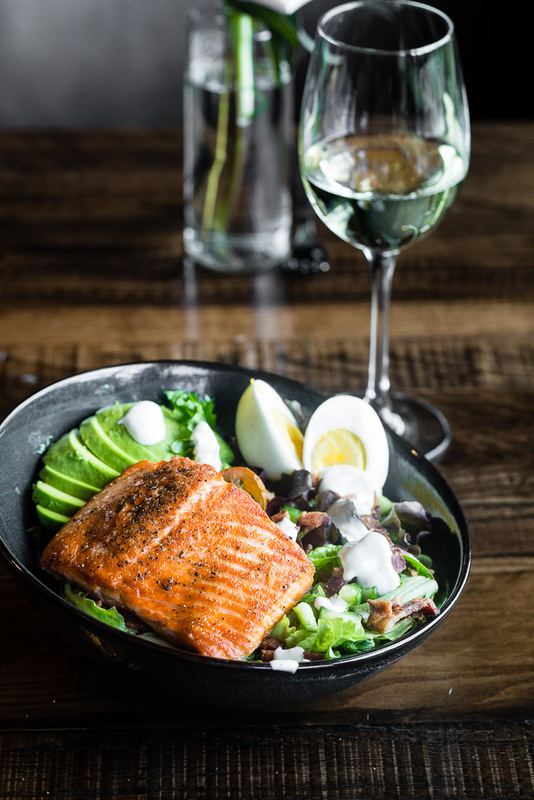 This is definitely one of the entrees that can be shared. 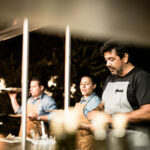 One of their signature dishes is the honey roasted duck enchiladas with a crispy confit duck leg. Crispy, Smoky, rich and a refreshing kale salad to balance it all. Every bite was better than the previous. I’ve been craving this dish (and just about everything we had at Chimayo) again since we left. Riverhorse Provisions is a specialty market and deli located at the top of Main Street. It’s a great place to grab a quick breakfast, coffee or pick up a grab and go meal for later in the day. We stopped here for our last meal of the trip on our way out of town. This is the type of place I would want to frequent daily if I lived in Park City. The smoked salmon smothered bagel comes with a spring pea shoot salad that is something that I can’t wait to recreate at home. The candied lemon, heirloom cherry tomatoes and shaved red onion is such a refreshing and healthy combination for starting the day. The fried capers on top of the smoked salmon is genius. Not only is the crispy texture wonderful, but they are light and don’t roll off the bagel like capers usually do. Benjamin was a happy little dude eating the steel cut oats with cinnamon butter and cranberry crumble, along with a snickerdoodle cookie for breakfast dessert. 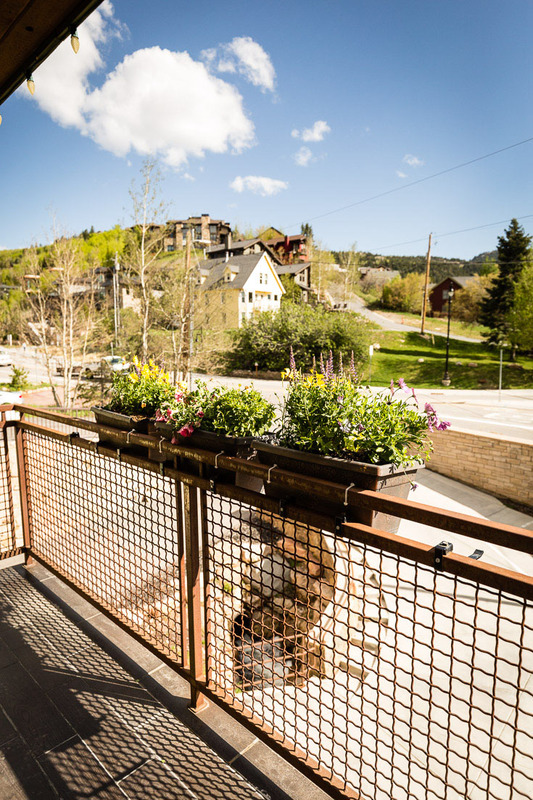 The Park City Olympic Park is just 10 minutes from downtown Park City. It’s where the US Olympic team trains all year long. We took a one-hour guided tour with Carl, who is actually an Olympic games commentator himself. The tour starts at the free museum and covers the Nordic jumps, track sports and the summer training pool. Getting to see it in person really helps put into perspective what we watch on TV. While you might see Olympians training, you can also play in the park yourself. 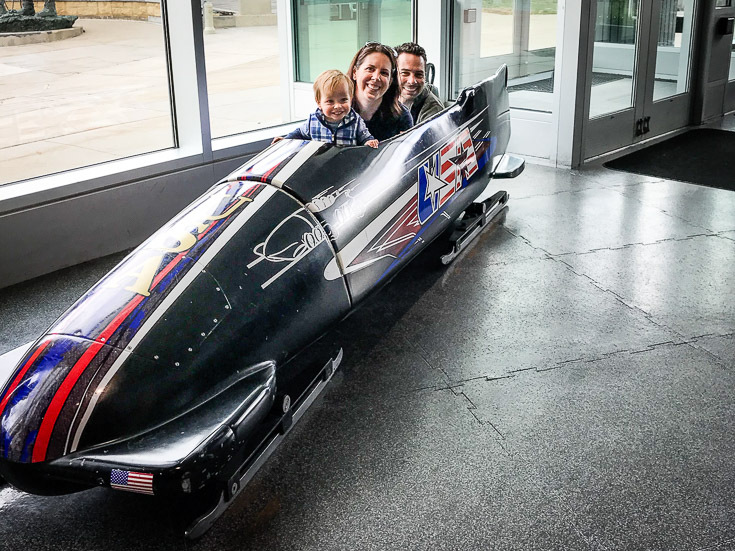 Some of the activities available to the public include tubing down the ski jump, ropes courses, ziplining, rock climbing, or even taking the bobsled down the track. We love taking day drives to get a better feel for where we are visiting. After asking around, the locals suggested taking a drive towards Mirror Lake, which is about 45 minutes from downtown Park City. The drive is along the scenic Provo River with lots of places to stop to enjoy the view. We came across the road closed sign. After asking a ranger, they informed us that you can drive until you see snow on the road. So we kept on going, but couldn’t quite get all the way to Mirror Lake. We did make it to Lost Lake and made the mistake of waking Benjamin up from a nap to see snow for the first time. He was less than thrilled about it. 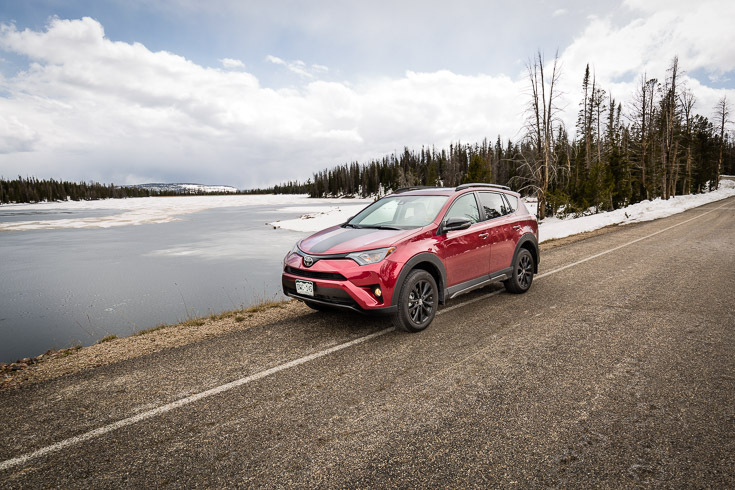 On the bright side, we got to take our Toyota RAV4 Adventure on a beautiful mountain drive to see waterfalls, partially frozen lakes and the wildlife in the Wasatch Mountains. 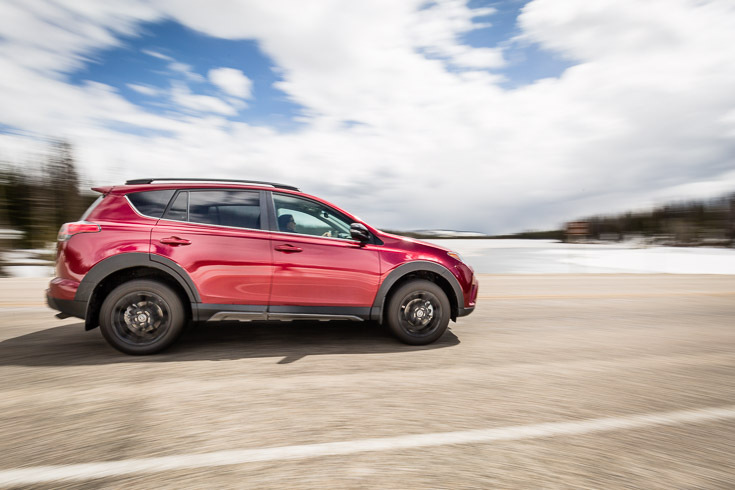 Read more about our experience with the Toyota RAV4. Visit: Walk and shop on Main Street, tour the Olympic Park and take a drive to Mirror Lake. 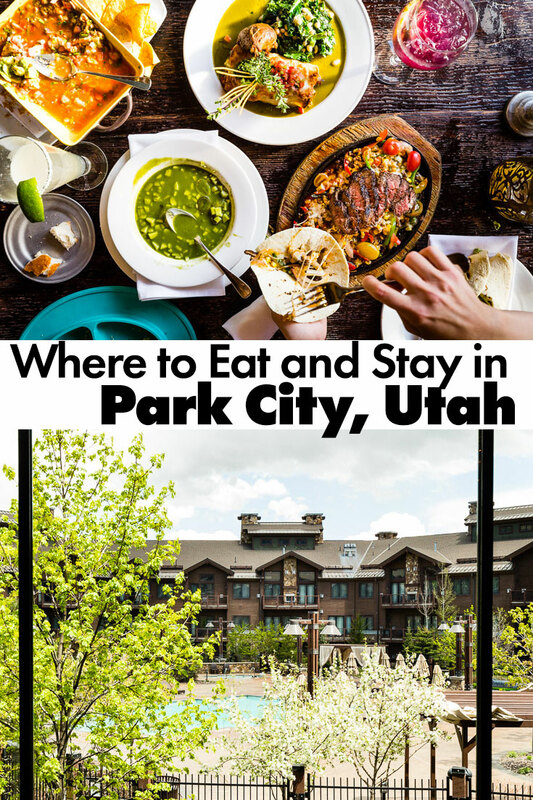 Support for this guide was provided by our friends at Visit Park City who graciously hosted us during our stay. Thank you to Toyota for providing us a RAV4 for our transportation. This was an unpaid trip and all thoughts and opinions are always my own. Anybody coming to this city must visit Vessel Kitchen as its restaurant menu cover offer healthy breakfast option within a modest budget. I definitely agree. 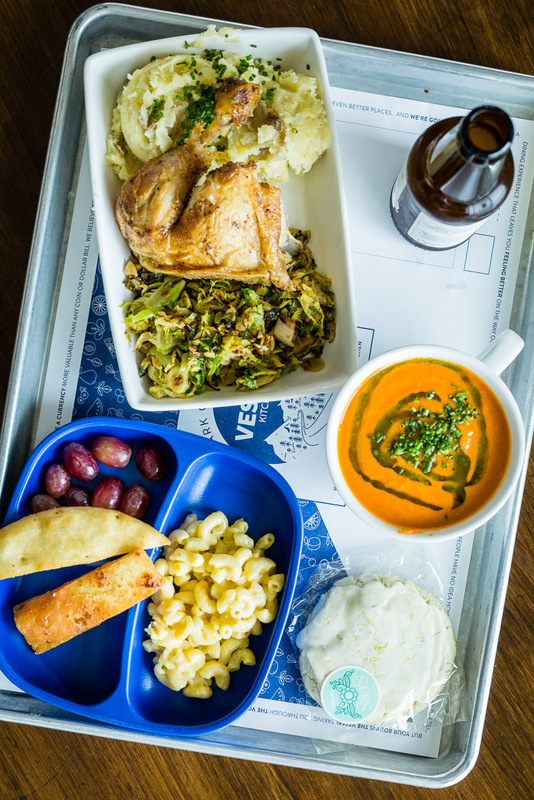 We stopped at Vessel Kitchen for lunch after touring the Olympic Park and it was delicious!